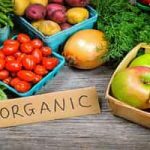 The word “organic” is often used in business names in Ontario, but the Organic Council often receives questions from confused consumers and businesses about whether or not this use of the word is covered by provincial or national legislation. This post aims to clarify how existing legislation deals with this issue. The Organic Products Regulations (OPR) are part of the Canada Agricultural Products Act (CAPA). They clearly outline how the word “organic” (as well as “organically-grown, -raised, -produced etc.) can be used in labelling or advertising. If your business name contains the word “organic,” is featured on product packaging or advertising (including signs), then your business and the products in question must be certified organic if you intend to sell the product outside of Ontario. Unfortunately, within Ontario, these regulations do not apply unless you use the Canada Organic Logo on packaging. The Consumer Packaging and Labelling Act (CPLA) is federal legislation that applies to all products produced and sold in Canada — not just to products that are traded across provincial borders. The Act prohibits the sale or advertisement of any prepackaged product that bears a label containing any description of the quality, origin or method of production that may reasonably be regarded as likely to deceive a consumer. 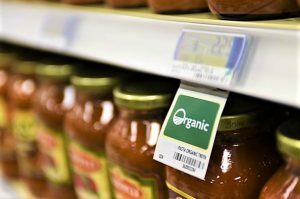 If an uncertified organic business uses the term “organic” in its name, and includes the name on a prepackaged product or in “any representation to the public by any means whatsoever,” (including signs, websites, and advertisements) that business may be breaking the law — regardless of whether or not there is a trademark on that name. The shortfall of the existing federal organic legislation is that the Organic Products Regulation (OPR) falls under the Canada Agricultural Products Act (CAPA), an act that does not apply within provinces. Therefore, its rules only apply to products that are traded across provincial borders or bear the Canada Organic Logo. Unless you sell your products outside of Ontario or use the Canada Organic Logo (“the logo”), this law is not likely to affect you – regardless of whether or not you use the word “organic” in your business name. The OPR do not cover business names unless the name is featured on advertisements, signs, or food labels. The Consumer Packaging and Labelling Act (CPLA) applies to all products produced and sold in Canada, regardless of whether they are traded across provincial borders. However, inspection and enforcement of the CPLA is complaints-based, and enforcement mechanisms that currently exist are limited, especially in Ontario, where no organic regulation exists. In order to verify whether or not an uncertified organic product or business is is using the word “organic” without meeting the requirements of the Canada Organic Standard, the Canadian Food Inspection Agency (CFIA) would need to perform an organic inspection on the producer or processor. Organic inspections are not within the purview of the CFIA. In order to fund the contracting of such inspections, Ontario must enact provincial regulation. Under the CPLA, the organic claim is treated similarly to terms like “natural” and “antibiotic-free.” Their terms are defined on the CFIA’s website. Generally, they are enforced when there is a blatant violation, but not when the meaning of the claim is unclear/ indirect, as is generally the case with business names. However, unlike these terms, organic is a legally-defined term in Canada, and should therefore be treated differently than other claims. How Does Enforcement Currently Work? Identifying the areas where organic products could be contaminated with prohibited substances and/or come into contact with non-organic products. Although the CFIA does work hard to respond to every legitimate complaint it receives, it may not have the capacity to thoroughly investigate these types of complaints, as outlined above. This is one reason several provinces have chosen to regulate the word “organic” independently. Additionally, neither the OPR nor the CPLA prohibit the use of the word “organic” on prepared food or advertising for prepared food. This leaves a grey area in the law, where uncertified food businesses can use the word “organic” in their business title as long as the products and advertisements: a) do not contain the business name, or b) are not prepackaged (e.g. a restaurant might be called, “Good Food Organics,” but they are not obligated to use organic ingredients as long as they don’t put their name on any product labels). 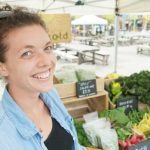 Does Legislation Cover “Organic” in Ontario Business Names? This chart illustrates that although legislation may cover some instances of incorrect or fraudulent use of the word “organic” in business names, it is difficult to enforce. Restaurant or Catering Menus No. No. Food Truck Menus No. No. Home Food Delivery Service Menus No. No. Food Labels on Imported Products Yes. Yes. Signs at Farmers’ Markets Yes, but it is difficult to enforce. Yes, but only for imported products. Supermarket Produce Stickers and Labels Yes, but it is difficult to enforce. Yes, but only for imported products. Advertisements on Social Media or Business Websites Yes, but it is difficult to enforce. Yes, but only for imported products. Advertisements in Newspapers Yes, but it is difficult to enforce. Yes, but only for imported products. Signs on Storefronts Yes, but it is difficult to enforce. Yes, but only for imported products. Business Name Registration Yes, but it is difficult to enforce. Yes, but only for imported products. Trademark Registration Yes, but it is difficult to enforce. Yes, but only for imported products. How Will Organic Regulation Solve This Problem? The goal of OCO’s push for organic regulation in Ontario is to improve monitoring and enforcement and close gaps in the law that may allow consumers to be misled. We seek to create a level playing field for all food businesses in Ontario and reduce the grey area surrounding the use of the term “organic” in business names and non-prepackaged food. In this way, businesses that work hard to become certified do not suffer from watering down the term “organic” through its inaccurate and inappropriate use. 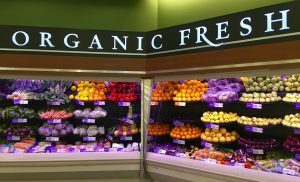 How Can Consumers Be Sure They’re Getting Organic Now? 1. Look for the Canada Organic logo and/or the logo of the certifying body. It is illegal for any business to use the Canada organic logo if they are not certified organic. This is true regardless of whether or not they are trading their product across borders, so the logo is a good guarantee that the product is truly certified organic. 2. Look for the logo of an approved certifying body. Certified organic businesses are required to provide the name of their certifying body on packaged organic products whenever they make organic claims. If they notice that a business uses the word “organic” in its name, it should be able to provide information about its certifying body. 3. Talk to the seller. At the farmer’s market, ask if they are certified and what certifying body they use. If they’re in a retail location or restaurant, ask the server or proprietor if they’ve been given proof that the products they are selling are certified organic.